Dynamite's Voltron prequel series continues with Voltron: Year One #2. Their cover blown, Space Explorer Squadron #686 is trapped behind enemy lines, and the prisoner they've been tasked with retrieving is not what they thought he was. And with his friends and teammates pinned down and running out of time, will Keith and Hunk disobey orders and risk everything to save them? Only one thing is certain...central command deliberately misled Sven and his team about their target and his critical role within the Galaxy Alliance, and they're now fighting for their lives as a result. If #686 can make it back alive, there'll be hell to pay. 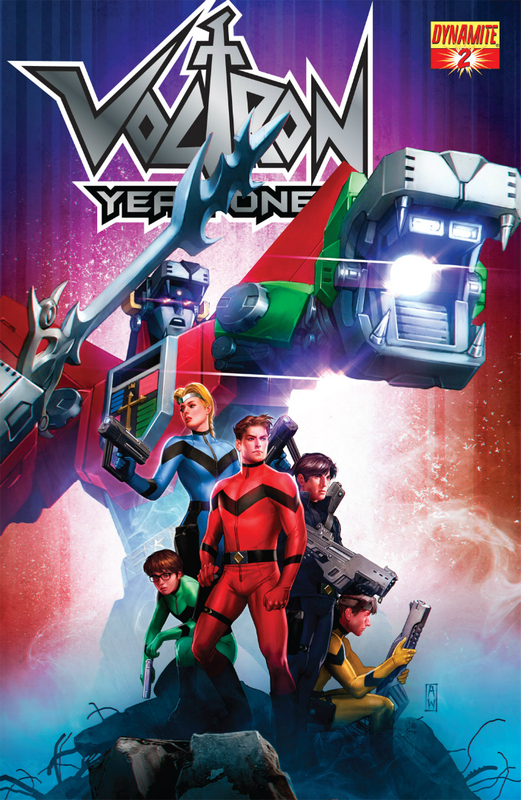 Voltron: Year One #2 is on comic stands everywhere and is also available for digital download.